MK Enterprise was established in 2013. As pioneers in this field, the solutions from MK Enterprise were readily accepted by the customers. Since then MK Enterprise with its unflinching focus on customer requirements evolved into the largest cleanroom partition manufacturers. 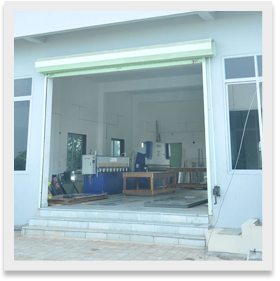 The state-of-art manufacturing facilities equipped with CNC machinery, top class powder coating line and in-situ high pressure foaming with a manufacturing capacity of 3,00,000 m2/Annum enable MK Enterprise to meet the divergent requirements and specifications of the customers. We have built a high infrastructural base that covers a vast land area. We have alienated our infrastructural facility into a number of departments such as procurement department manufacturing department, quality testing department, warehousing & packaging department and sales & marketing department. 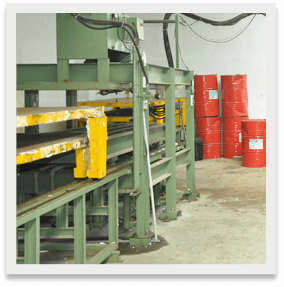 Our production unit is well equipped with latest tools and cutting-edge machines that enable us to meet the varied requirements of our clients in prompt manner. To constantly surge ahead with the new innovative Clean Room and Lab Products. To be among the most competitive, most profitable, most respected manufacturer of a wide assortment of Office Partitions and Clean Room Products Company in the industry. Continuous improvement is our objective in all areas including people, process and ecosystem. We like to build consistency in our manufacturing process and to have documented quality processes at each stage starting from raw material to customers.